The larvae feed on Onobrychis species. Polyommatus dolus inhabits grasslands, open slopes and embankments, often in or near light dry forests or bushland. 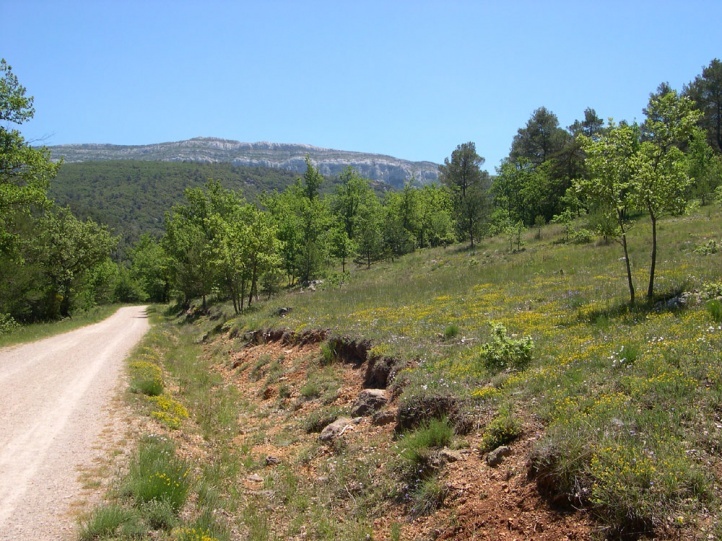 According to literature, the young caterpillar overwinters (probably L1). 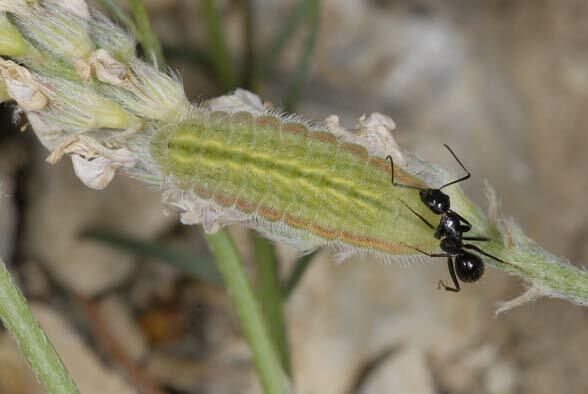 I observed mature caterpillars at about 600m asl in the Massif de la Sainte Baume feeding on inflorescences in the afternoon, always accompanied by one or more large ants (see image). The adults are on the wing especially from late June to late July. 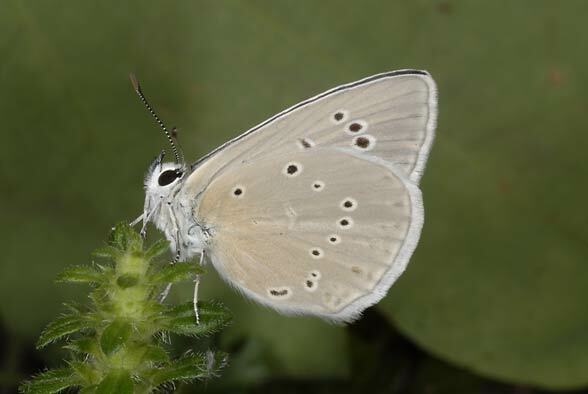 Polyommatus dolus is locally endangered by habitat loss (intensification, reforestation, overbuilding, tourism) or overgrazing. 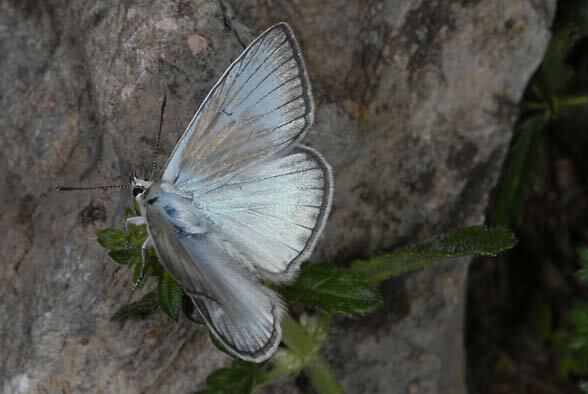 Polyommatus dolus occurs only very locally from Northern Spain through Southern France to the Italian Maritime Alps.